Don't be afraid to give this winter season a kick in the design pants! With just a few dramatic touches, you can transform your home into a sophisticated winter wonderland or a cozy cabin. Whether your style is traditional or your step is to a different design drummer, you can still add decorative elements to your home that will create dramatic winter flair. Start your winter decorating with a basic design principle - the theme. Whether you're looking to beat the winter blues, design that perfect tablescape and centerpiece or decorate with a lush Christmas scene, you can drive the cold out of your décor with a warm and inviting ambiance. It's easy. Once you find the right theme, incorporate them into your home using some of interior designer Taniya Nayak's design philosophy. There are several ways to create a winter theme for your home. Taniya Nayak, one of the team designers for the popular HGTV show Designed to Sell shared her thoughts on winter decorating. In fact, she decided to give winter a different spin with her design interpretation of the "winter blues." 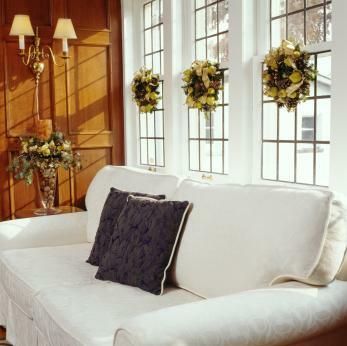 It's easy to get depressed during the winter months and it's a great time to start those new decorating projects. Taniya believes you can "keep the winter on the outside but bring in the spring on the inside." Don't be afraid to try new colors and design styles. In this photo of her latest "Sassy" design style, featured in HomeGoods® Stylescope quiz, she defeats the winter doldrums with vibrant colors. She recommends that anyone can "add fresh bold pops of color in fuchsia, bright yellow, turquoise, and white throughout your home using throw pillows and colorful decorative accessories." 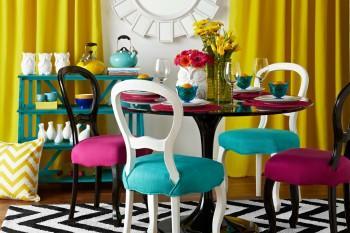 The end result is a room that zings with colors and sophisticated style. Another great theme capitalizes on a snowy winter scene. This theme has a wide range of design potentials with various color accents. It might be as simple as adding white furniture to your room, winter wall art or various winter-theme decorations. Surefit offers a complete range of styles and colors. The Premier Collection features layered corner pleating and topstitched cording. Everyday Slipcovers sells solids and patterned slipcovers for every chair in your home. Don't let the winter blues get you down. "Warm up!" Taniya suggests. The woodlands and ocean make great resources for winter decorations. Your family and guests are sure to feel the crisp ocean breeze zipping through your home or the lure of the forest with either of these wintry themes. Add some ocean, pine or cedar fresh scents with potpourri, incense or scented candles for nostalgic ambiance. Wind & Weather offers some very unique seashell wreaths, art objects and oil candles. Rocky Mountain Décor offers rustic and woodland motifs, decorations and décor. If Christmas is one of your winter celebrations, make it a standout winter theme by adding decorations throughout your home. Centerpieces, wall hangings and all types of Christmas decorations are available. Frontgate carries a nice selection of different types of holiday decor. Look for items in sets to help coordinate your design. Bronner's offers personalized Christmas decor, as well as several different types of collectibles to fit any decor. Christmas Lights Etc. 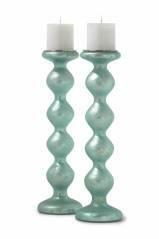 carries a number of different novelty lights for highlighting and brightening your Christmas decor. They also carry numerous decorations for all areas of the home. Once you've decided on what you want your theme to be, begin to incorporate it into your home. Wall art is a great decorating element that you can use to add a wintry theme to your kitchen, den, bedroom, bathroom or dining room. Wall art can be a wall sculpture, collage, plaque, painting or poster. Consider adding a little wall art over a foyer console table or use it to spruce up a guest bedroom or bathroom. Home Decorators offers several choices of paintings and a unique winter wall sculpture for that special niche or dining room buffet. All Posters sells over 15,000 winter-themed posters. Lighting plays an important part to any room design. Winter nights filled with brilliant stars reflecting over snow-covered landscapes can become your winter theme. You can use the element of light to accent your winter theme in a dining room, bathroom, bedroom, den and any other room in your home. Suspend crystal icicles or teardrops from candelabras or chandeliers. Slip a mirror underneath candles to reflect the candlelight. Add battery-operated, miniature white or blue light strands to bowls, apothecary jars, centerpieces, plants or simply suspend from light fixtures. 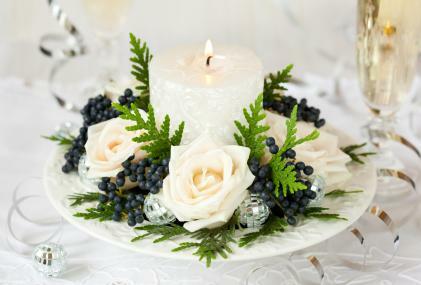 Place candles in tall vases, hurricane lamps or trays of artificial snow or silver glitter. Hang acrylic ball candle holders or glass bubbles from the ceiling over the dining table. Use uplighting bases for added ambiance. LED tipped branches can be used for centerpieces and vase arrangements. LED vase lamp shade and light fit right over vases and transform into lamps. Lampshades are an easy way to change your room décor to a new winter-theme. "Create a faux fireplace using a floating shelf and a cluster of pillar candles in the same color but in varying heights." Taniya believes that, "The more candles, the better the effect!" Go beyond the front door and mantel for displaying wreaths, wall baskets, boxes and swags. Wreaths come in all sizes and shapes, such as round, triangle, square, diamond, heart and star. Baskets and boxes come in a wide variety of colors and materials perfect for stacking or adding some ambiance. Wreath Depot offers unique and classic wreath, basket and swag designs. Wreaths Galore has a wide selection of wreaths and swags. Taniya also knows how to make the most of an unfriendly winter evening. "What better way to spend a cold chilly night indoors than to start decluttering?" Decorative stacking boxes are a great way to add storage to a room while giving it a new element of color, texture and design. 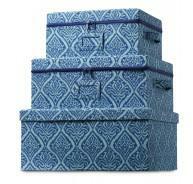 You can find all types of patterns and box sizes to fit any decor. Tabletop decorations can help to cement your design, whether they are a simple bowl or basket filled with pinecones or crystal balls, or an elaborate ice sculpture or floral arrangement. Whether you want a tabletop decoration for a coffee table or dining table, be sure to include several elements. These elements will give your centerpieces a high-style and chic look. Apothecary Jars: Add lights, berries, silk magnolia blossoms or white snow roses for an elegant centerpiece or nightstand ambiance. You can also use pine cones, nuts, berries, bare sticks, pine sprays, glass ice cubes and ceramic snowflakes. Baskets and Bowls: Wood, crystal, brass, silver or ceramic bowls, trays and containers as well as wicker, metal, wire, wood and other types of baskets can be placed on tables and filled with various iconic winter motifs. Display Collections: Figurine collections of birds and woodland creatures can be displayed with other elements such as white pillar candles and greenery. Feathers: Colorful feather plumes in decorative vases are great for mantels or foyer umbrella stands. Floral arrangements: Choose a silver, white or cut-glass crystal vase. Anchor flowers with florist white pebbles, clear glass marbles or multi-faceted crystal balls. Floral choices include calla lily, camellia, white carnations and white cottage roses. Add dried lilac and lavender sprays, twisted twigs or pine sprays and pinecones. Faux Snow and Art Glitter: Faux snow, silver and opaque glitter over a colored tablecloth recreates the feel of a snowy scene. Ice Sculpture: This is an ideal winter decoration for a great dining centerpiece. Buy a mold or create various ones out of plastic containers. Drop in berries, pinecones and pine boughs or other elements. Use an ice mold bowl for a main centerpiece. Mirror Chargers: Place underneath your white china for a true wintry table setting. Terrarium Cloches: Use these for woodland scenes, just add some artificial snow for a wintry effect. Hanging terrariums offer a unique spin. Add functional elements such as table linens, napkin rings, silverware and glassware as a fun way to carry out a winter decoration theme. Napkins Rings: Make your own with twisted strands and streamers of silver glitter, stars and snowflakes or LED fiber optics. Woodland creatures and novelty napkin rings also work well. 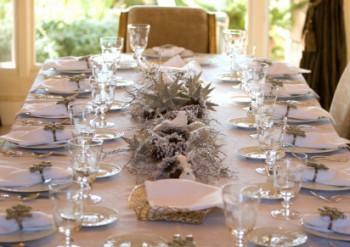 Table Linens: What you choose to drape over your table is the foundation for your wintry creation. Showcase your winter tablescape with a solid-colored tablecloth. Silver, purple and blue are all great choices for highlighting a white and silver centerpiece. Layered Fabrics: Add two or three tablecloths of varying lengths. Use the same colors for your under-cloth and topper-cloth. Or, use a single tablecloth with colored placemats. Before you set out shopping for your winter decorations, think about the areas of your home that you wish to decorate. Do you want a lighted centerpiece for your dining table? Perhaps you want a winter-themed floral arrangement for the foyer console table or an apothecary jar filled with winter decorations for the guest bedroom. Make a list of the areas you want to decorate and jot down any ideas you have. This process will clarify what you want while giving you a plan to follow. It's easy to get side-tracked when browsing, so keep your list beside you as you look for the perfect decoration. If your budget is limited, start off with one decoration and then add a new one each year. This will build a versatile collection of decorations that will carry you through many winters. As Taniya says about winter decoration, "Now that's what I'm talkin' about."